Dive deep into Italian wines at the Italian Cultural and Community Center. Photo by Kathryn Brough. There’s something alluring — and intimidating — about Italian wines. Italians are known for being passionate and Italian wine is an extension of that passion. On the other hand, there are all those those confusing terms. Imbottigliato all’Origine, Denominazione and Azienda agricola are just a few. It’s enough to make the uninitiated turn away and grab the closest California Chardonnay. Sommelier Craig Collins, the beverage director for ELM Restaurant Group in Austin, is on a mission to make Italian wines more approachable. 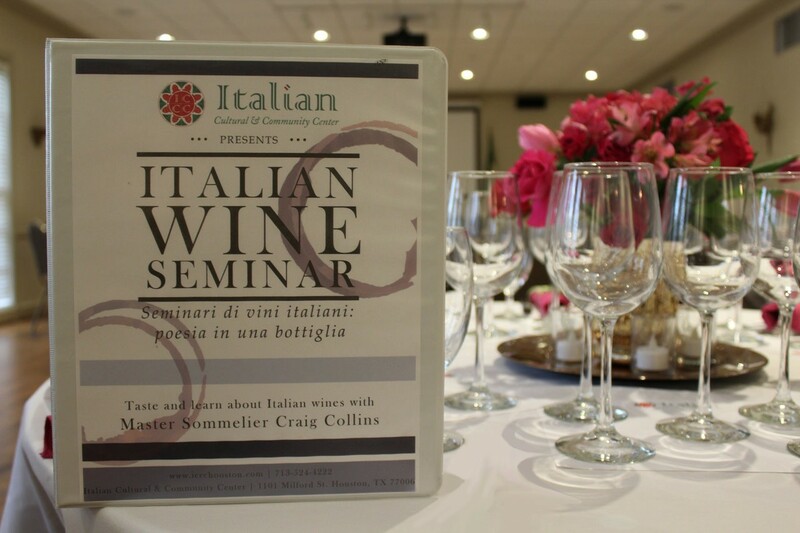 A sommelier and wine educator with more than 20 years of experience, he’s hosting a series of classes at the Italian Cultural and Community Center (ICCC) that focus specifically on Italian wines. The four-week course explores three different regions and offers a primer he calls Wine 101. It’s a guide on how to taste, evaluate and discuss wine. “This is the second course we’ve offered at the ICCC,” Collins said during a phone interview. “The first one was so successful, it made sense to do an encore.” The course is at both beginners and more experienced wine lovers. Collins says he wants to help people understand that Italian wines are approachable, perfect partners for food and give students the confidence to navigate the wine aisle at their favorite store. Sommelier Craig Collins leads students through tasting Italian wines at the Italian Cultural and Community Center. Photo by Kathryn Brough. Collins became enamored with the topic while working at a winery as an undergrad. It led him to study abroad in Italy during his senior year at Texas A&M. He spent the next two decades working a variety of jobs in the beverage industry: at wineries, distributors and importers. In 2011, Collins passed the prestigious Court Of Masters Master Sommelier Exam. At the time, only about 200 others had mastered that feat. By his estimate, he probably tastes 250 wines every week, but the ones from Italy hold a special place in his heart. That’s what he’s looking to pass on to class participants. The first session will focus on common wine terms, viniculture, Italian wine laws and win analysis. Each of the next three weeks will showcase the regions of Northern, Central and Southern Italy. Each two-and-a-half-hour class allows students to sample six to eight wines and gain a better understanding of the grapes used, the way different regions produce wines and what to expect from wine styles. If participants fall in love with a certain wine (or wines), Collins says those can be ordered from Austin Wine Merchant. 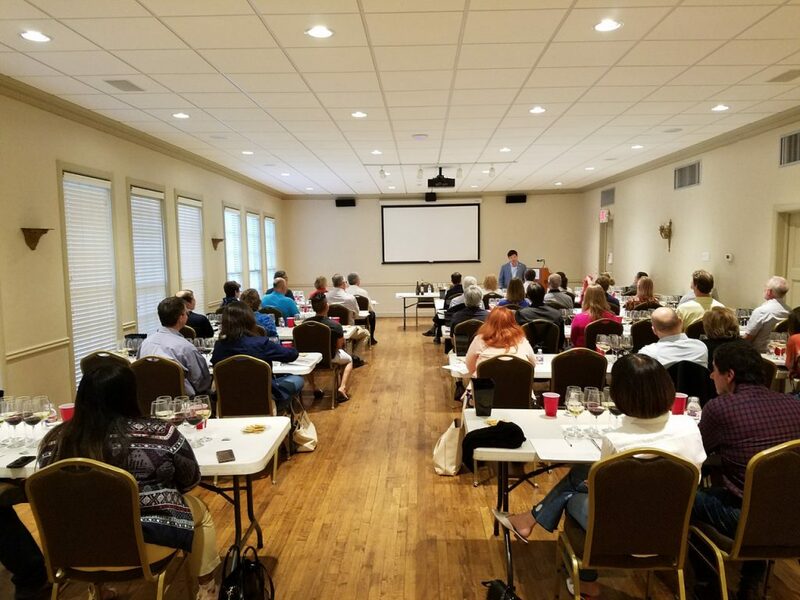 Seminario di vini italiani: poesia in una bottiglia (Italian Wine Seminar: Poetry in a Bottle) begins on April 3 and runs on subsequent Tuesdays until April 24 at the Italian Cultural and Community Center at 1101 Milford. Classes run from 7 to 9 p.m. and the cost for the four-week course is $295 during early bird registration, which is through March 12. (The cost is $325 beginning March 13). Register online or call (713) 524-4222 extension 7.